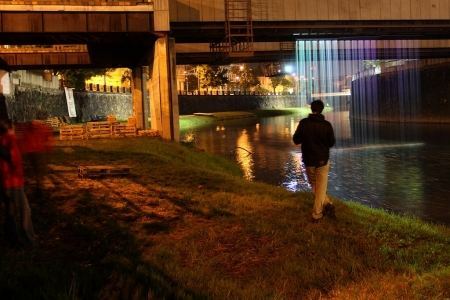 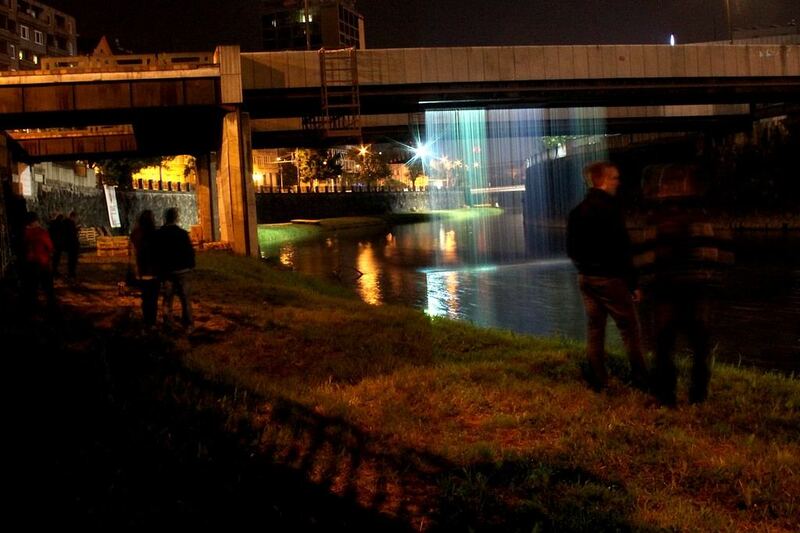 Interactive light installation designed into public space in Pilsen. 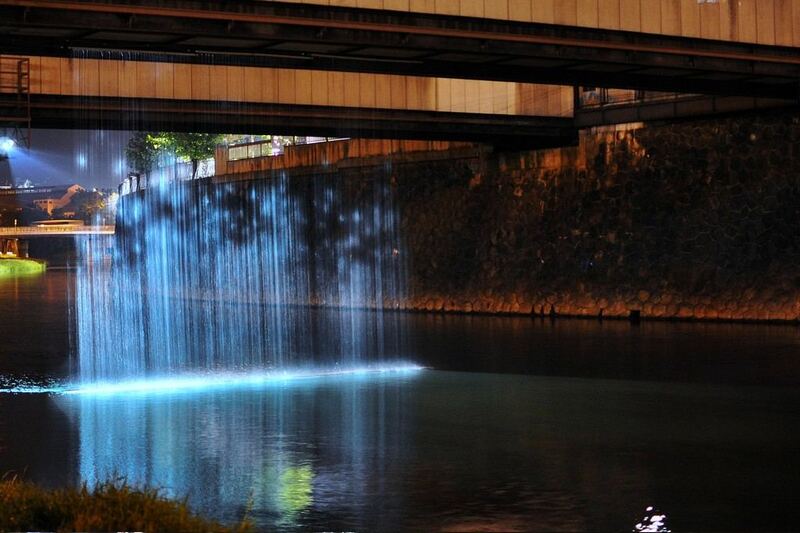 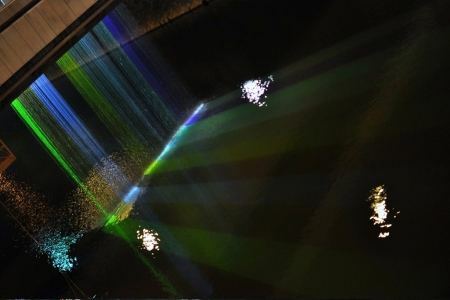 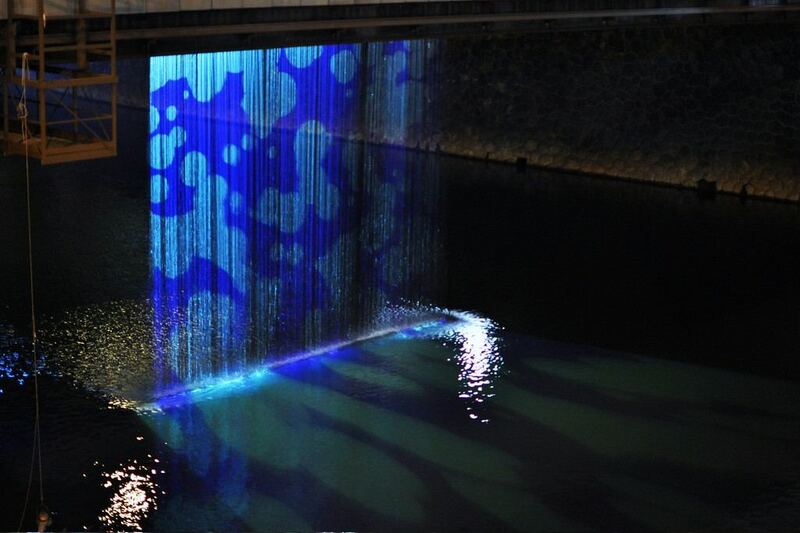 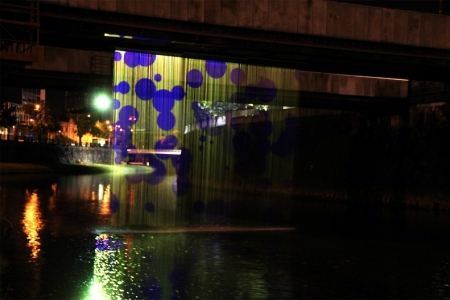 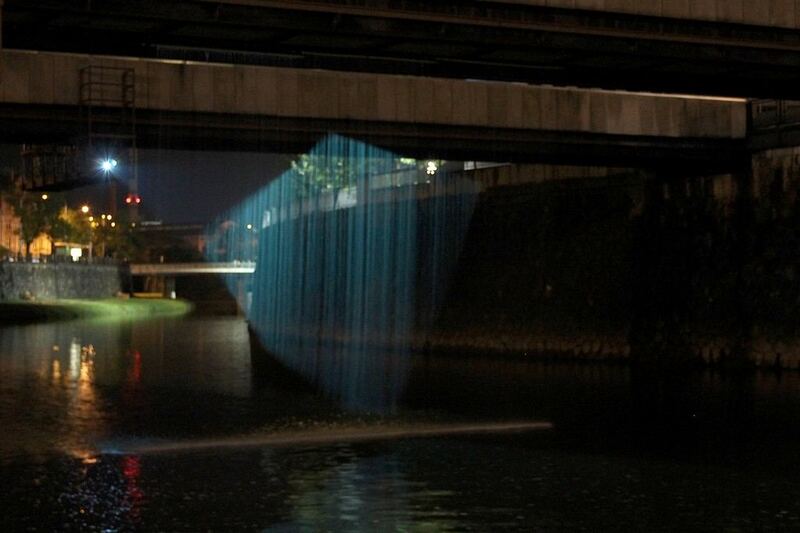 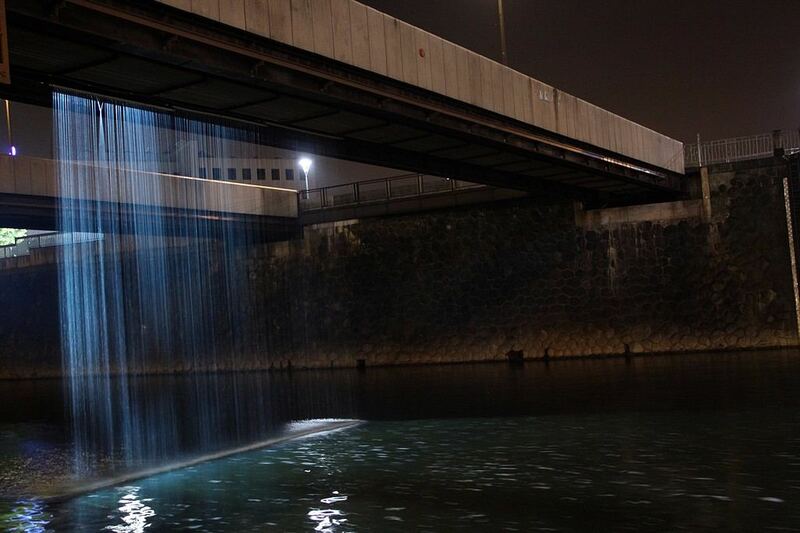 The work consists of a water screen that creates a surface and projector to show video upon this surface. 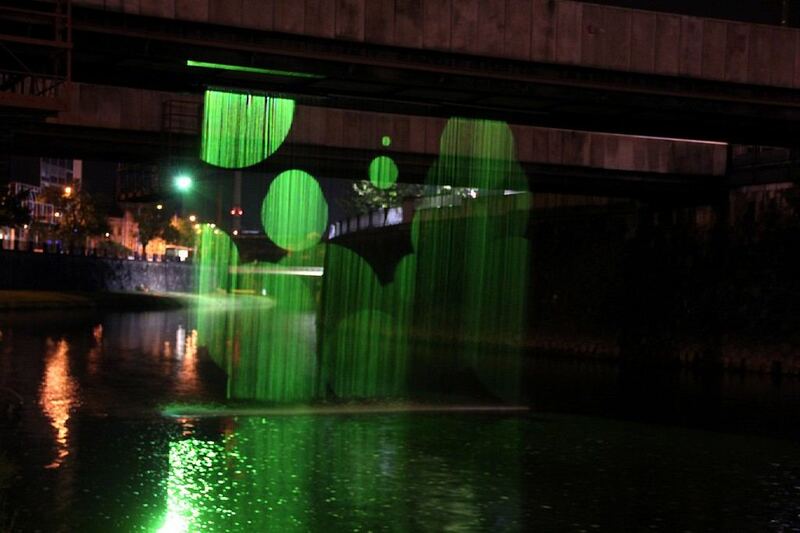 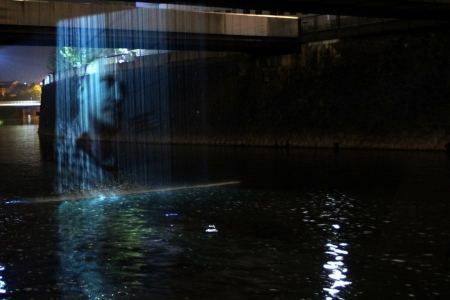 The content of projection consists of images and animations generated in real time. 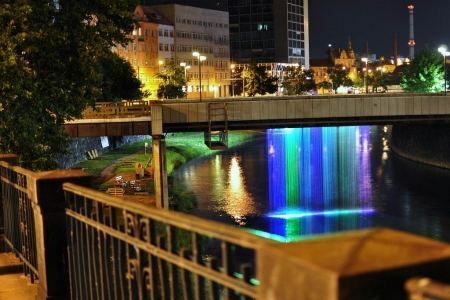 Viewers will see mostly motifs that emphasize the genius loci of the riverside and celebrating Pilsen — “city on four rivers”. The program of screenings is also interactive and can be affected by viewers who upload photos using the application “Instagram” and marking their post by key “hastag”. 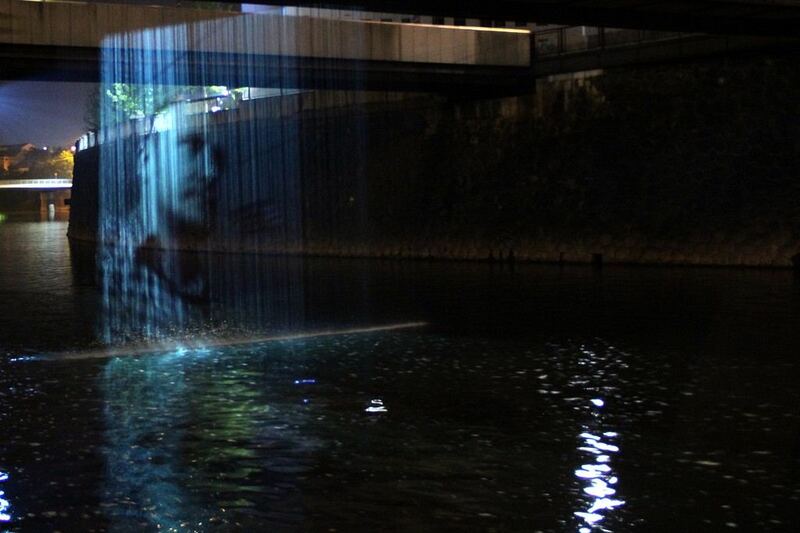 Pictures from “Instagram” are transformed immediately into a dynamic part of the projection. 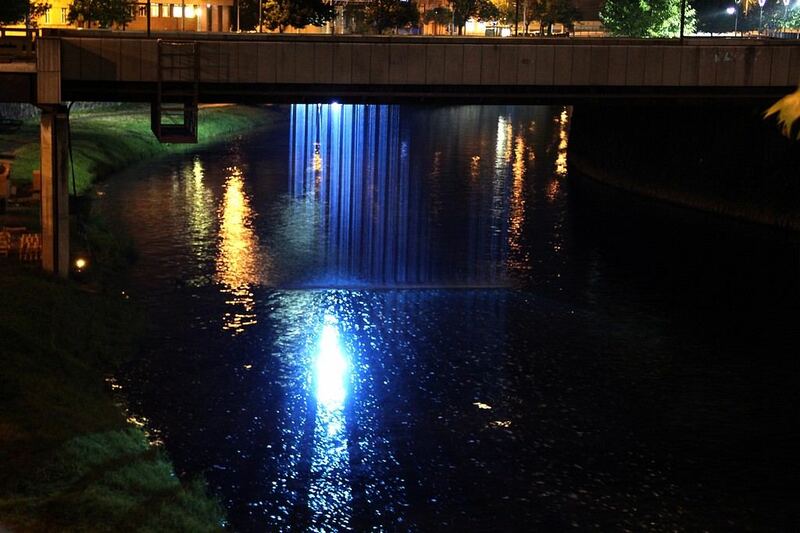 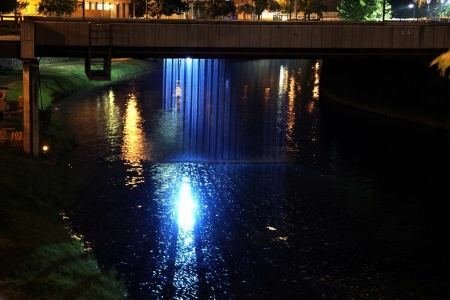 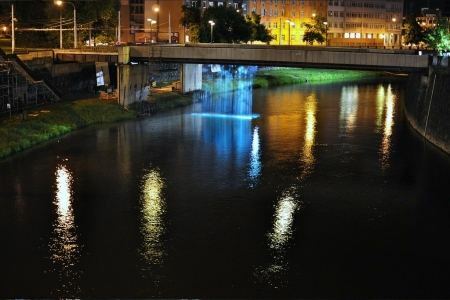 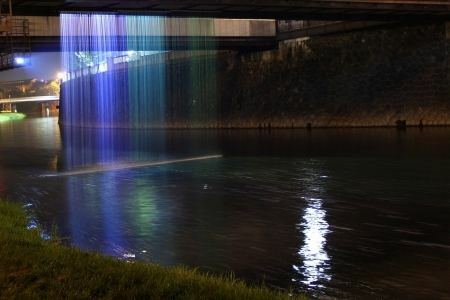 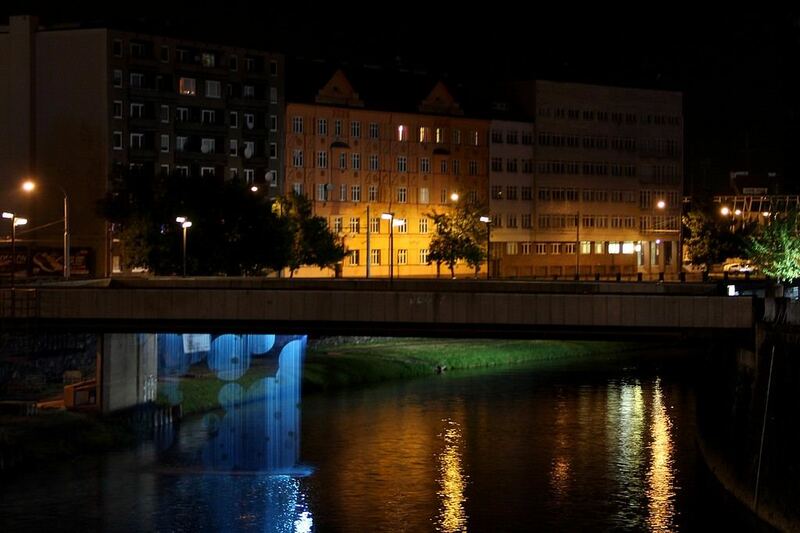 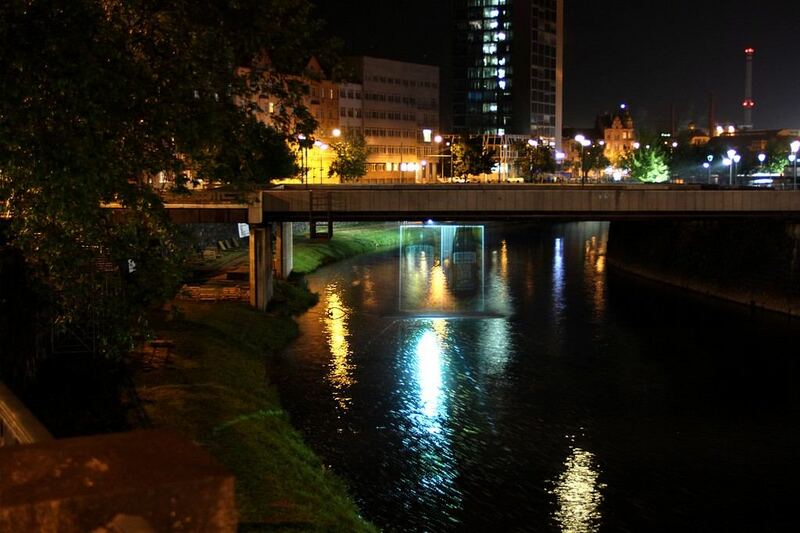 The installation was placed in Pilsen over the river Radbuza, where the bridges from the former House of Culture to Denisovo nábřeží and Šafaříkovy sady are.